It was 48 hours dedicated to training and bonding. 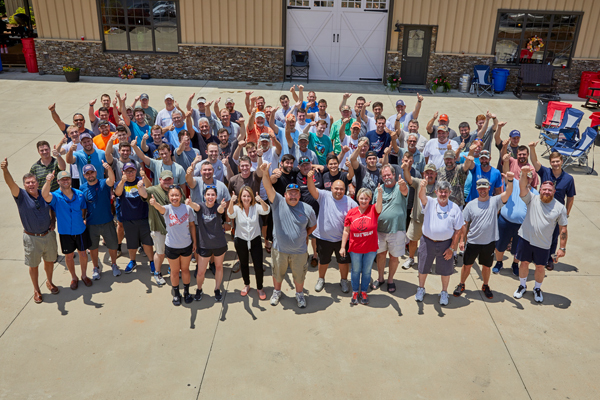 Project managers, superintendents, and members of our leadership team all joined forces not long ago for a special team building and training event. One of the primary focuses was detailed sessions on worksite safety, which included an extensive presentation from Regional Director of Safety, Chris Gruber. The training also reinforced some of our ongoing safety priorities, which includes maintaining our excellent 0.65 Experience Modification rating. We’re so proud to report that our EMR is below the industry average! We also covered some of our Safety Program objectives such as ARCO’s weekly Tool Box talks, as well as weekly safety inspections. These inspections are documented with an 80-point checklist. What else was on the agenda? More safety, such as site-specific health and safety orientation, training and education for all associates (including the OSHA 30-hour construction training for superintendents), and more. But that’s not all our team learned. 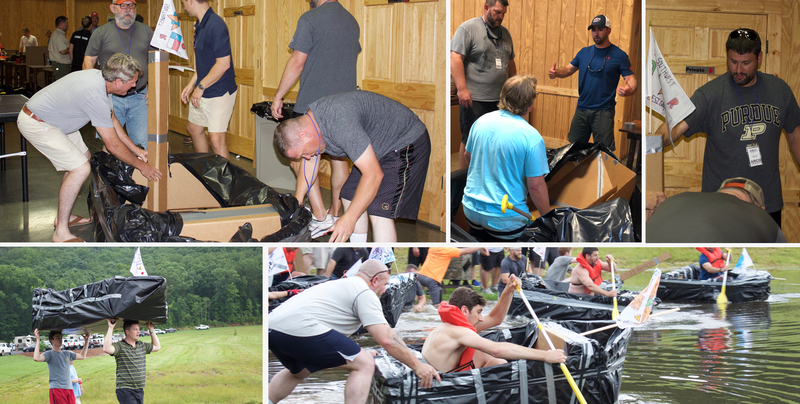 Our 85 employees also got a crash course in the fine art of boat building, thanks to a unique team-building exercise. Here’s how it worked: Team members received a set of plans and a stash of materials. Their mission? Follow the plans and construct their boat — out of cardboard. Not only did their vessel need to be seaworthy; it also needed to be strong and fast. Their finished boats would need to hold two team members and compete against other boats in a race to the finish. What’s the goal with sessions like these? It’s not just to help create a fun working environment. (Although, that’s always a nice bonus!) Sessions like this are one way we work to stay proactive when it comes to safety. These sessions also help create an injury-free working space for associates, subcontractors and our clients.We believe one of the best ways to create that safe working environment is to never stop learning about safety. Why is it so important? Because, out of all the things we build, a safe work environment is the most important.